Key announcements made in the Modi govt's Interim Budget will impact a longer time-frame, and will strongly change the political landscape for the BJP, making a determined push to woo the middle class now. 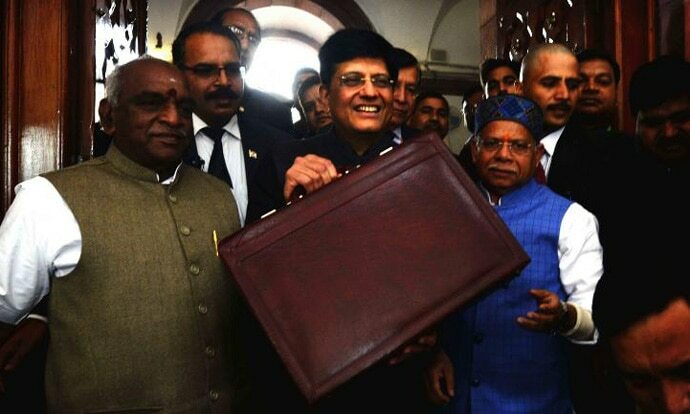 Acting Finance Minister Piyush Goyal presented the Interim Budget, also known as a 'vote on account', on February 1 to meet the expenditure for the first six months once the new central government is formed after the General Elections. The Budget speech was cleverly drafted with an eye on the 2019 General Elections and had gifts to offer to most sections of voters, from farmers to middle class taxpayers. Individual taxpayers having an annual income of up to Rs 5 lakh will get full tax rebate as the minimum tax slab has been raised from Rs 2.5 lakh to Rs 5 lakh. If people with gross annual income of Rs 6.5 lakh make investments in Provident Fund or approved equity schemes, they may not have to pay any tax, Piyush Goyal announced. Goyal announced the tax-free gratuity limit will be increased to Rs 30 lakh. Presenting the Union Budget, Goyal said that the gratuity limit will be hiked from Rs 20 lakh to 30 lakh. The government had doubled the limit for tax-free gratuity to Rs 20 lakh in the private sector back in March last year. After implementation of the seventh Central Pay Commission, the ceiling of gratuity amount for central government employees was increased from Rs 10 lakh to Rs 20 lakh. Goyal announced that TDS on interest earned from bank, post office savings will be raised to from 10,000 rupees to 40,000 rupees. The TDS threshold on rental income was raised from Rs 1.8 lakh to Rs 2.4 lakh. Goyal said that the government will provide assured monthly pension for workers in the unorganised sector and senior citizens (above 60 years). "Mega Pension Yojana, namely Pradhan Mantri Shram Yogi Mandhan, to provide assured monthly pension of Rs 3,000 per month, with contribution of Rs 100 per month, for workers in the unorganised sector after 60 years of age,” Goyal said. As many as 10 crore people are expected to benefit from the scheme. The small and medium enterprises (SMEs) loans with ticket size of ₹1 crore will get two per cent interest subvention, Goyal announced. The government also announced sourcing 25 per cent material from SMEs and three per cent from only women-owned SMEs. 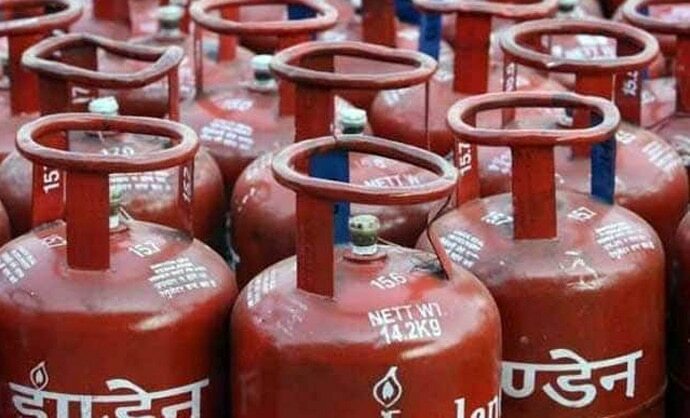 Goyal announced that the government aims to provide free LPG gas connections to eight crore families under the Ujjwala Scheme by 2020, having provided six crore such connections under the scheme till date. At the Budget speech given by the then-Finance Minister Arun Jaitley in 2018, the target of beneficiaries under the Ujjwala scheme was raised to 8 crore families by 2021. The government has announced there will be no tax on the notional rent on a second self-occupied house and no TDS on house rent up to Rs 2.4 lakh. Earlier, if a person owned two houses, he was supposed to pay rent a tax on the notional rent of the second house. This discouraged people from buying a second house even if they could afford to. There will also be no tax deducted at source (TDS) on house rent upto Rs 2.4 lakh a year, while capital gains exemption on houses has been raised to Rs 2 crore. Farm sector slowdown has snowballed into a big political issue ahead of the Lok Sabha elections in April-May. In view of the farm crisis, Goyal announced a relief package of Rs 75,000 crore under a new scheme, the 'PM Kisaan Samman Nidhi' for distressed farmers who have seen their incomes stagnate because of plunging prices, left with barely enough to pay for loans and input costs. As part of the package, which includes an income support scheme, the government will transfer a sum of Rs 6,000 per year to farmers who own up to two hectares of land. The Budget allocated Rs 60,000 crore for a rural jobs programme and Rs 19,000 crore for building of roads in the countryside where two-thirds of Indians live. The Budget, which is interim and is likely to be followed by a full one in July, once the new government is in place, thus has these ten pillars at the moment. It will take a brave government to attempt shaking these once the General Election is done.